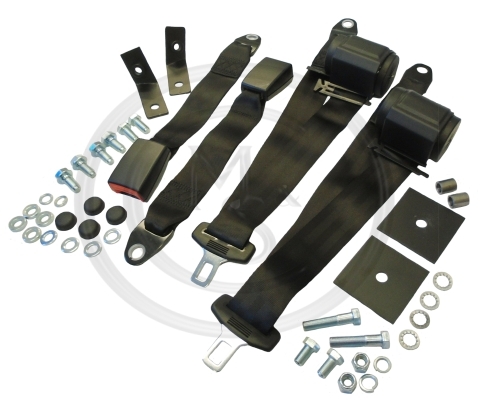 BEK525 - Sprite & Midget 1275 & 1500 High Quality Inertia Seat Belt Kit & Fittings. High quality inertia seat belt kit. Contains 2 belt assemblies and all brackets and fixings to install. This kit does not contain "universal" belts, designed to fit a dozen different cars! This kit does not contain belts that are too long, which drag on the floor when they're not being worn! This kit does not contain belts with unsightly tumbler adjusting knobs on a reel, necessary because you have to adjust the mechanism depending on what car they are fitted to! This kit does not contain belts with exposed reels, because they are really intended to be fitted our of view behind trim panels. 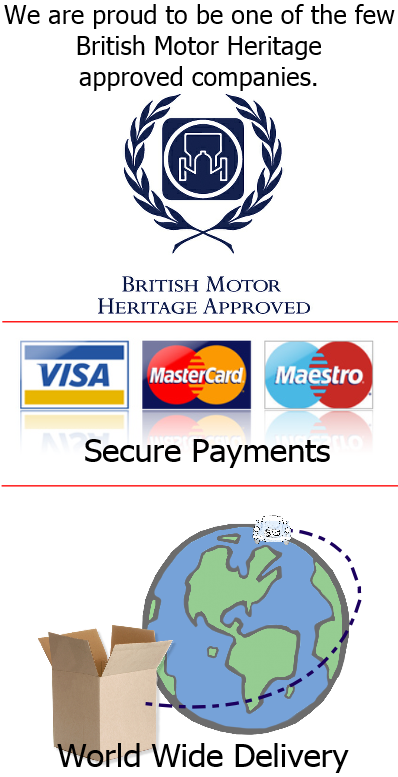 There is no adjustment required, because you are fitting them to the car they we designed for! Also included are plastic finishing caps for the lower mounting bolts.